Buy-side cover interview – Carl James has been a fixture of the buy-side world for the past 25 years, having run trading operations and desks around the world before taking on his current role as global head of fixed income trading at Pictet Asset Management. 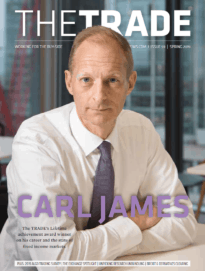 John Brazier talks to the winner of The TRADE’s prestigious buy-side lifetime achievement award about his career to date, embracing change and where the fixed income world is heading. TradeTech FX US 2019 – In February The TRADE flew across the pond to Miami for the TradeTech FX US 2019 conference, a two-day event dissecting the most pressing issues to both US and European foreign exchange (FX) market participants. Here, The TRADE presents the best of its coverage from the event. The big interview – DTCC Deriv/SERV chief executive, Chris Childs, tells The TRADE about the role DTCC’s TIW played at the time of the financial crisis, and the progress made so far in establishing a global reporting framework for OTC derivatives. Clearing takes centre stage as Brexit threatens derivatives fragmentation – London stands to lose a significant amount of clearing business from European derivatives traders as a result of Brexit. David Whitehouse examines how will this fragmentation affect Europe’s clearing landscape. The exchange spotlight – It may only be a few months into the year, but exchanges, both new and old, the world over are providing significant levels of drama, from US exchange wars to Europe under Brexit. John Brazier and Hayley McDowell assess the key developments in the US and European exchange landscapes and shine a spotlight on the ongoing battlegrounds. Unpicking the research unbundling conundrum – Over one year since the separation of payments for execution and research was introduced via MiFID II in Europe, Hayley McDowell examines the unintended consequences of unbundling for buy- and sell-side institutions and finds an industry still coming to terms with the change. 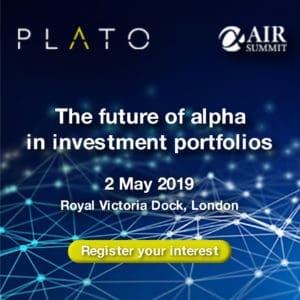 The 2019 algorithmic trading survey (long-only) – Brokers are stepping up to the plate in the post-MIFID II landscape to provide consistent execution to long-only buy-side firms that are more knowledgeable and discerning than ever before. Hayley’s comment – Is outsource trading the future?